Iconic wins major Hairdressing Award!! It’s been an exciting year for Iconic . 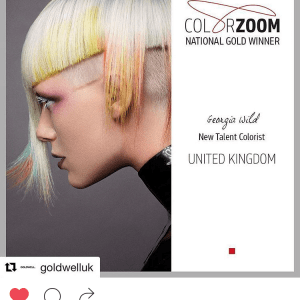 One of our stylists Georgia Wild entered a major Hairdressing competition called Colorzoom hosted by Goldwell UK . She had a photo shoot in May and went on to win the New Talent Colorist Category 2016 held at the Guildhall in July. Her prize was to go to Stockholm where she was to represent the U.K. in a global competition. There were 36 countries taking part in a live competition in the Globe . We are delighted to say she won the silver award coming second in her category. 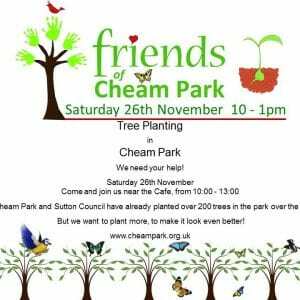 The Friends of Cheam Park, are planning to plant more Trees on Cheam Rec. This is to not only enhance the Rec, but also create a more wildlife friendly area and as the trees grown, will reduce the amount of water run off from Cheam Rec. We have 40, 5 year old trees, which stand at around 1.5 – 2 meters high and over 100 saplings, which will only need to be dug in with a trowel. The Friends of Cheam Park, with the help of local residents have now planted over 200 trees on the Rec. They have made a real difference the area. They make what was a very boring part of the Rec, with just mown grass, a real feature, which people take pleasure in visiting. We are also hoping to secure funding for a footpath to go across the Rec, connecting the pavilion with the path down into Nonsuch Woods. All of which will make the Rec more accessible. It will also make it easier for families to walk to Little Oaks from North Cheam, rather than have to drive. It will be on Saturday 26th November at 10 – 1pm. The Chamber’s Late Night Shopping Event attracts over 3,000 visitors to the Village every year. The Event is held on the evening of the first Friday of December and falls this year on the 2nd of December 2016. This year’s theme is Pirates and will feature Actors from SAVVY Theatre Company performing a A Mini Pirate Panto culminating in switching on the Christmas tree lights at the Cheam War Memorial Green outside Cheam Library. The evening will include various sub events at Cheam Library, Cheam Baptist Church and at shops and venues In the Village. Radio Jackie will provide music and entertainment on the night and there will be up to 30 stalls with crafts, toys, jewellery, wood products and various food and drink on offer. Fairground rides and children’s activities will also be in place. Radio Jackie’s Mobile unit Van will add to the Entertainment. The event costs several thousand pounds to produce, even though all the work is put in by volunteers and traders and so we are looking for an increased level and number of sponsors. This is an opportunity for the businesses in Cheam to enhance their branding and presence and to contribute to the welfare of the local community. To become a sponsor for the event, please email sponsors@cheam-traders.co.uk with your name, contact telephone number and the sponsorship level at which you would like to participate. One of our volunteers will then contact you to collect the cheque or arrange a bank transfer and the logo and branding as appropriate. We would like to finalise all sponsors before the 31st October 2016 so that we can confirm and pay for the Event arrangements. Thank you for your time and consideration and we look forward to welcoming you as a valuable contributor to Cheam’s Event of the Year! Provided Consultancy and Design for 100’s of Innovative Technology Solutions for Businesses and Residential Customers. Delivered Tens of 1000’s of Engineering Man-Hours of On-premise and remote support for various Technologies. Developed our Connectivity, Cloud, Telephony and Support Technology Offerings. We can connect anything to anything almost anywhere with most available technologies. Provided Redundant Power, data Centres, and technology for Business Continuity for 100s of Businesses. Established ourselves as a one-stop Technology Company. 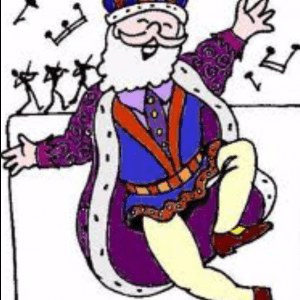 Why is Old King Cole not himself and the Queen so merry? What happens when Fairy Fantasia confronts The Demon of Discord? If music be the food of love….play on. 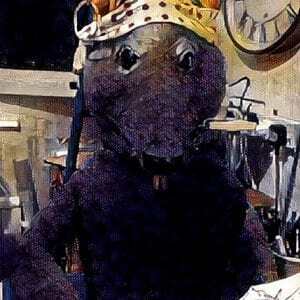 Does Princess Viola get her man….or must she marry The Prince of Harmonica…….. ? A musical pantomime full of intrigue, romance and humour. Come and see this wonderful family show and all will be revealed. 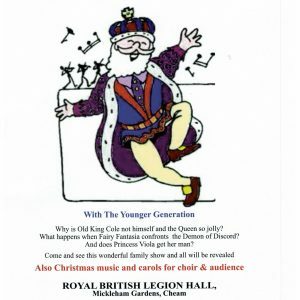 The Royal British Legion Hall, Mickleham Gardens, Cheam. The Cheam Chamber of Trade’s Late Night Shopping Event attracts over 3,000 visitors to the Village every year. The Event is held on the evening of the first Friday of December and falls this year on the 2nd of December 2016. This year’s theme is Pirates and will feature Adult Actors from SAVVY Theatre Company performing a A Mini Pirate Panto culminating in switching on the Christmas tree lights at the Cheam War Memorial Green outside Cheam Library. The evening will include various sub events at Cheam Library, Cheam Baptist Church and at shops and venues In the Village. Radio Jackie will provide music and entertainment on the night and there will be up to 30 stalls with crafts, toys, jewellery, wood products and various food and drink on offer. Fairground rides and children’s activities will also be in place. Radio Jackie’s Mobile unit Van will add to the Entertainment. You may have already heard or seen on the What’s on in Cheam (WOIC) Facebook page, but we are planning a special event for Cheam Village for Halloween. This came about when Lucy who runs the WOIC page approached a few of us – Sarah in Stitches, Sam in Greensleaves, Georgina in GiGi’s and Suzanne in Tasha’s Tearoom suggesting getting together to boost the profile of the Village. 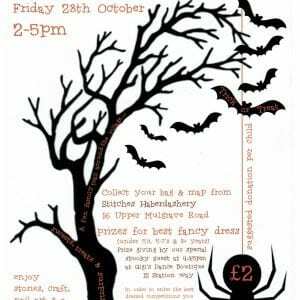 The Cheam Scream is planned for Friday 28 October between 2 and 5pm. The aim is to bring people into the Village to encourage more customers into our shops and as the 28th is the last day of half term week we hope to offer some safe family fun! We are not allowing any external stalls or participants as this is for the benefit of CHEAM SHOPKEEPERS only! 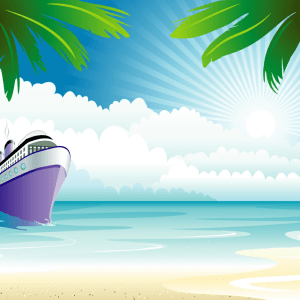 We hope to create a fun atmosphere at minimal expense to the families and our businesses. The current plan is for families to start at Stitches in Mulgrave Road where they will make a small donation for a fabric trick or treat bag which they may also choose to decorate. They will be handed a map with a route into the Village and they will then have to spot which shops are taking part in the event and these shops will have sweets available for the trick or treat bags. There will also be a word puzzle to solve by finding the letters on laminated pumpkins! There will be a prize giving just before 5pm at GiGis for the best dressed child in 2 age categories and also a prize for the Shop with the best dressed window! We are hoping that even if you do not want children visiting your shop you may be able to add a spooky touch or two to your window to give the Village a nice Halloween feel! Please let us know by 19 Sept if you are happy to join in with this community event by e-mailing thecheamscream@yahoo.co.uk If you have any questions please either e-mail or approach any of us.